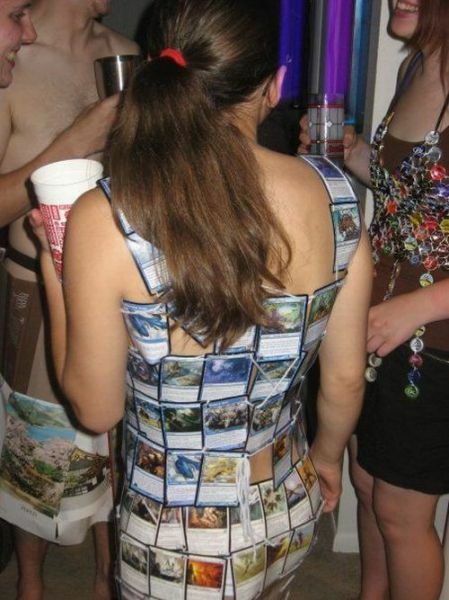 Yes, that's a girl at a party wearing a dress which appears to be made up of Magic The Gathering cards. It's a geek's dream girl. There's a joke in there somewhere about an 'Animate Artifact' card, but I ain't going there. I think the girl just beyond her is wearing a POG top? And the dude in front of her is wearing what looks like maps from a game as well. A strange party to be sure.